Here, the bright flavors of tropical and summer fruits are perked up with lime and a sprinkle of salt in a gluten friendly summer dish. 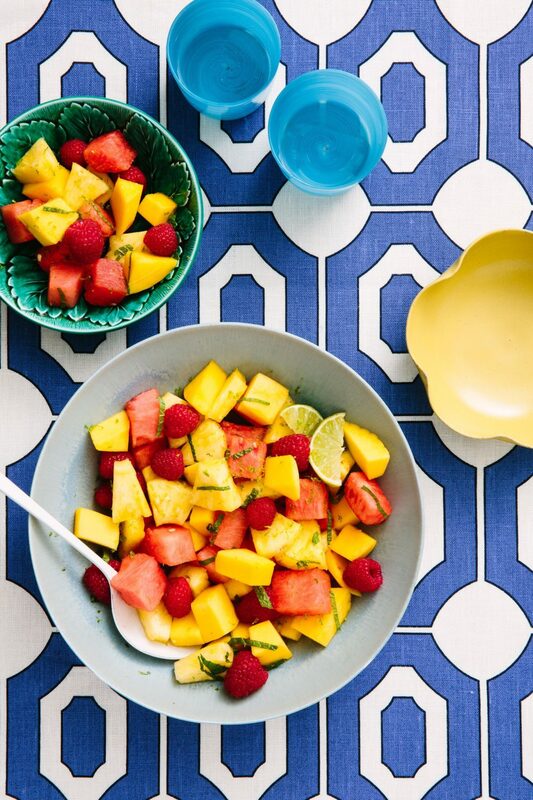 In a large serving bowl, combine the mango, pineapple, watermelon, and raspberries. Drizzle on the olive oil then sprinkle on the mint, lime zest and juice, and salt. Gently toss the salad, taking care not to bruise the fruit. Let macerate for 10 minutes, then serve.